A sign that reads "I Give Up!" 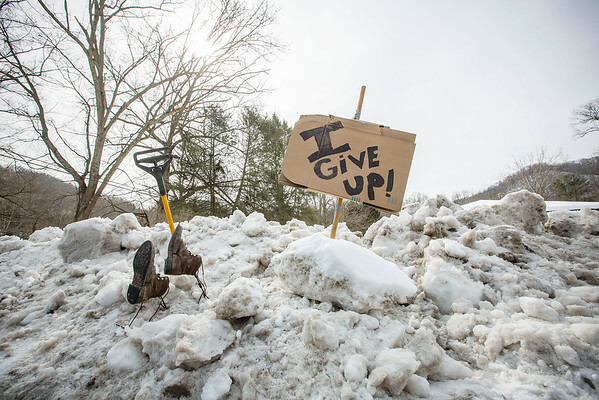 is posted on a mound of snow and ice as a pair of boots rest beside a snow shovel at the Little General store in Rock Creek, W.Va., on Wednesday. Area residents have grown frustrated with the lingering snow mounds in the region.